If you are a woman who likes to cook and want to open your own restaurant, you have some exciting challenges ahead. Not everyone can successfully own and operate an eatery, but with thoughtful planning and professional guidance you may be able to commence your culinary adventure in the near future. Look online or visit the library for information on how to start a restaurant, or even check out this free download. Make sure you understand the entire process. Try to study some samples of business plans, if possible. Then prepare your own plan, seeking help from local owners of restaurants that are similar to the one you want to open. Then factor in relevant information from the following sections. First, decide what you want your role to be. Do you want to do most of the cooking as well as manage the restaurant and deal with customers? Or would you prefer to hire a staff to handle these tasks while you take care of the business end of the operation? When you decide which aspects of the restaurant you want to be involved with, you can then prepare a flow chart for the number of employees you will need to hire. When working on the budget, be sure to cover all expenses, including those that are less obvious. Of course, you will need to buy a building and lot or rent that space for the restaurant. Associated with the building cost are the utilities, taxes, and insurance. Decorating, furnishing, and fixtures are more costs to consider. One of the most significant expenses is for equipment, so it is important to purchase quality equipment from the start that will last you a long time. Be sure you are looking at pro kitchen equipment that can prepare meals for a restaurant full of guests, not regular kitchen appliances for family cooking. Shop for used restaurant equipment in good condition to avoid purchasing new items. Employee salaries, along with any benefits or workers compensation, will need to be added. Don't forget marketing and promotion, along with office expenditures for a computer and printer, as well as business supplies such as postage and stationery. Decide what type of eatery you want to open. Will it be a sit-down or self-serve facility? Do you plan to offer fine dining or family dining? You will need to narrow the list of meals you want to offer unless you plan to hire or be an all-purpose cook. Figure the cost of each item plus markup for service, overhead, and profit. Network with other women restaurant owners. Join local business and civic groups to meet other female restaurant owners. You can gain a wealth of information from those who have already gone through the process. Try to find a mentor who can offer occasional advice or answer questions, which will save you considerable time and maybe money in the long run. 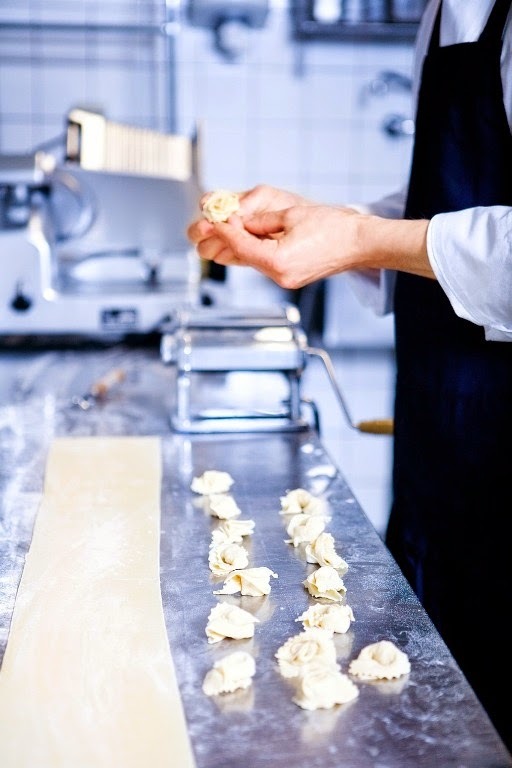 Cooking for restaurant customers is a wonderful way to put your kitchen skills to use. With careful planning and detailed preparations, you can increase the odds of your business avoiding problems and becoming successful.